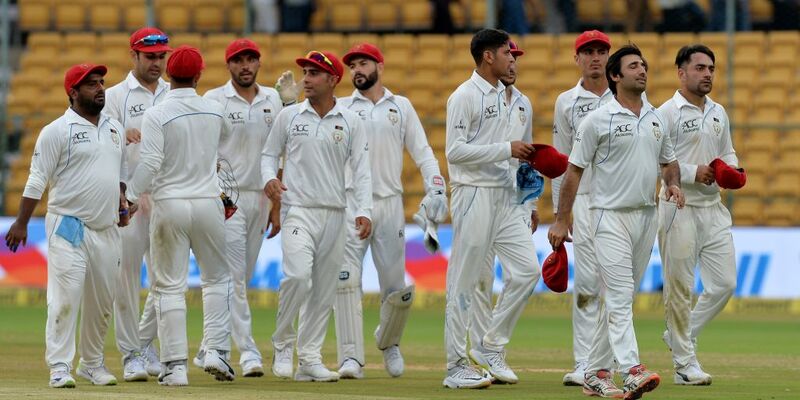 In a test match against Ireland in Doom Sports Club, India, Afghanistan cricket team won the test match for the first time by beating Irish cricket team by 7 wickets on the 4th day. Irish captain William Porterfield won the toss and decided to bat first. The start was fine for the Irish cricket but soon later they started fumble and kept on losing wickets on a regular interval. They were 85 for 9 at one stage and 100 was not looking possible. Surprisingly for the last wicket, Tim Murtagh and George Dockrell added 87 precious runs to the total. Dockrell scored 39 while the 11th man Murtagh went not out on 54. Irish 1st innings end on 172. In response to the 1st innings, Afghanistan came strongly and scored 314. Three batsmen scored 50 while Rahmat Shah falls 2 short of his century and was out on 98 by Tim Murtagh. Afghanistan led Ireland by 142 runs in the first innings. The target was too short and easy for the Afghanis and they chased it in the 48th over of their second innings. 76 from Rehmat Shah and 65 from Insanullah helped their way out. In the end, Afghanistan comfortably won by 7 wickets. Afghanistan has won the test match for the first time. A test match that has come to end within 4 days without having a century being scored.